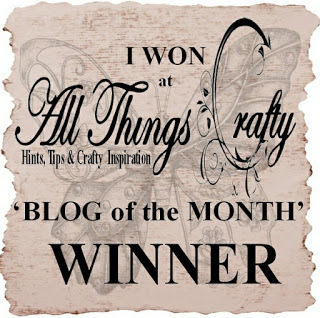 I was looking round the challenge blogs to see which ones I might enter next, and what do I spot – My Name! Yippee! 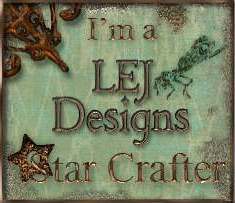 I’m one of the three “Star Crafters” on the LEG Designs Challenge Blog for my entry into their Challenge No 53 – Borders or Corners. You can see my entry for this challenge in my blog post of the 15-05-13 – here. These are the other cards I’ve finished putting together the begining of this week. 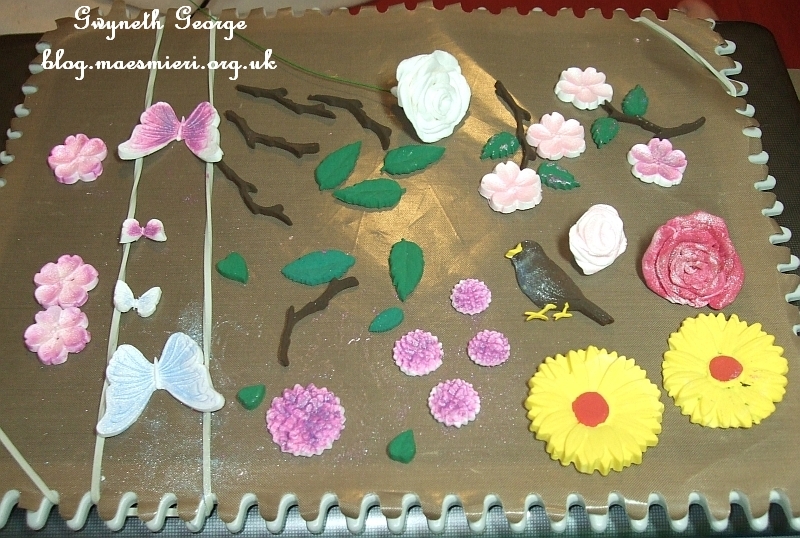 I’ve not added anything new to these this week, but if you haven’t had a look you can see links to all my flowers pictorial guides here -> “Making Paper Flowers” page. Monday, 20th May – Here! – Huge Selection of Designs chosen by The CUP Community! 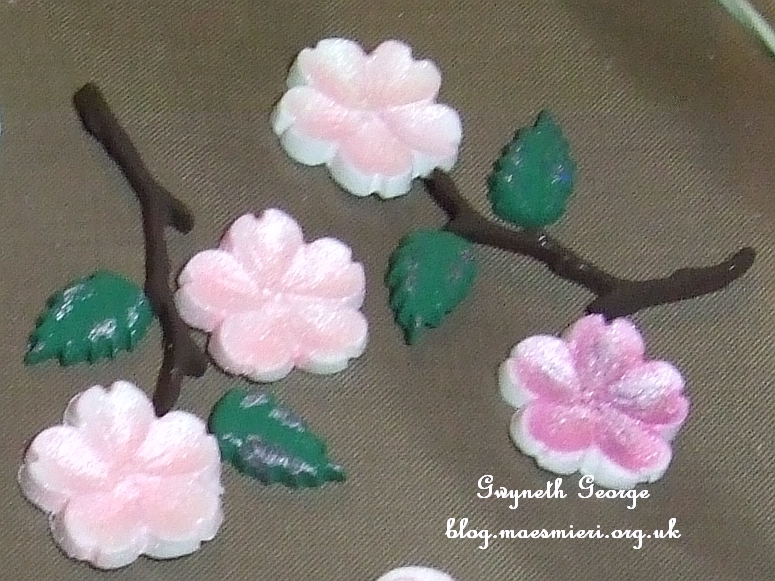 Gorgeous array of embellishments made with the clay. I have to agree with you Gwyneth it is lovely to work with. Beautiful cards too. Your cards are beautiful. My favorite is 3. I have not used the clay but you are tempting me now that I have seen your creations. Great display again Gwyneth, those embellishments are beautiful. 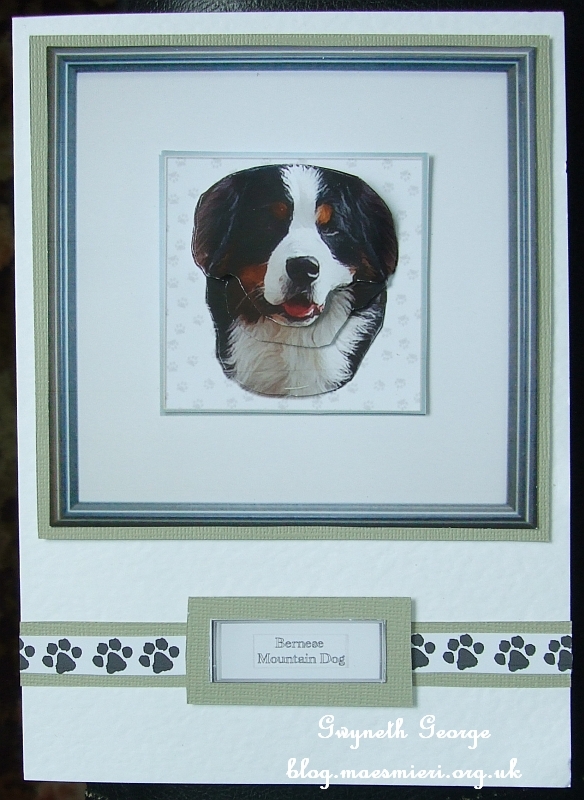 I love the easel card and the lady – great cards. Great cards! Really like that ‘saucy’ fairy! 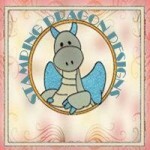 Thanks for joining us at Sweet Stampin’ this week. 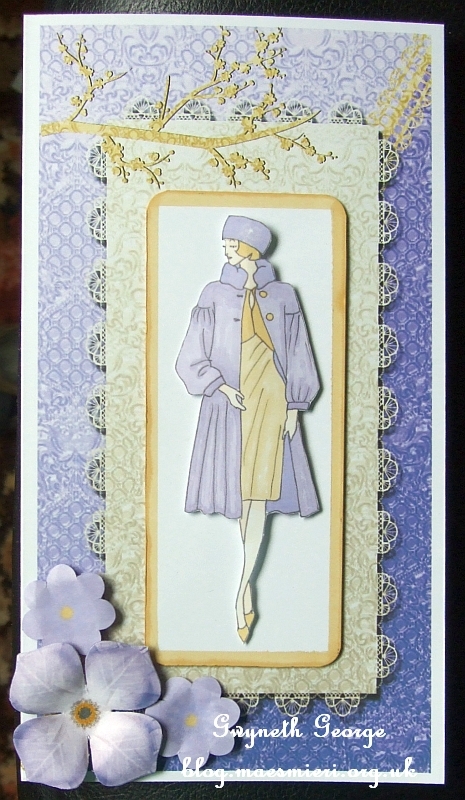 Your blog is always so interesting…love the embellishments,they are gorgeous…fabulous cards too. Love the flowers you have made. The blossom lookings ones I love!!! 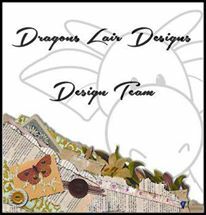 Your cards are always lovely and always so different and versatile. 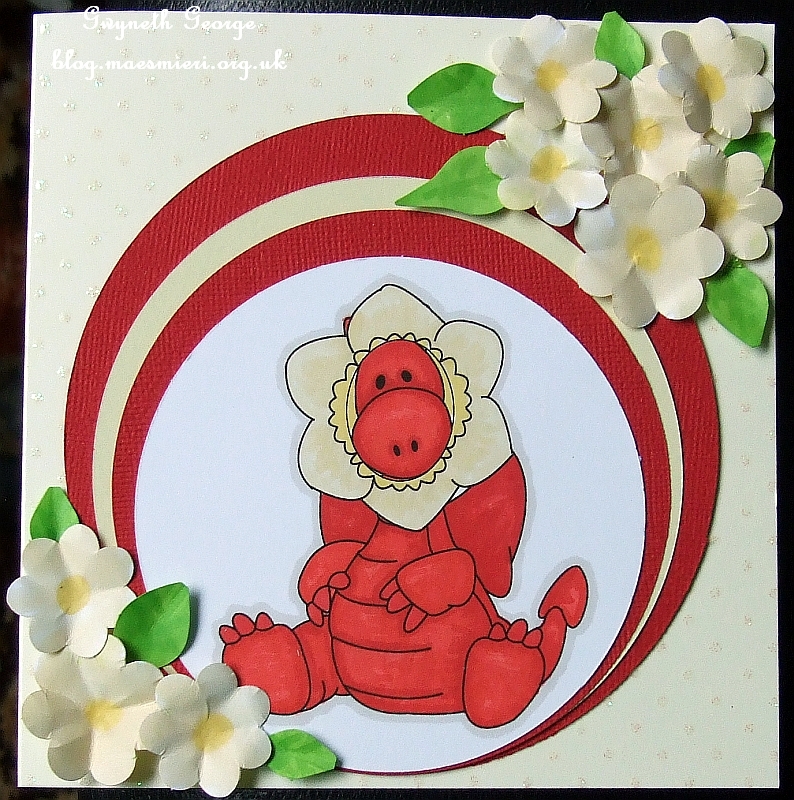 so gorgeous Gwyneth.i love your card shape and fab pretty image and colours.